happy to share the love of our church family. Sunday Services are at 10AM with time for fellowship following the service. We are a Christian Fellowship seeking to grow in its understanding of God’s word for today; to support, nurture and deepen spiritual growth; and to share the Good News with others through acts of compassion and a commitment to justice. We are a supportive community which respects the individuality of people, offers care to those in crisis, responds to the needs of the world, and provides Christian education and worship experiences that reflect the diversity of our congregation. We embrace our unique heritage and recognize our common bond with other Christian churches and faith groups. 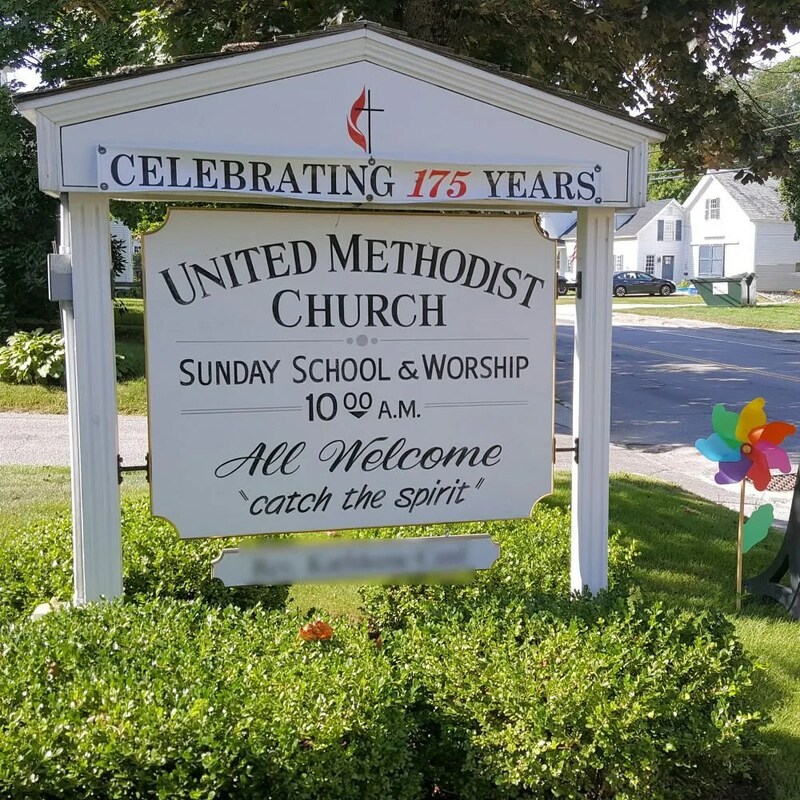 We welcome you to join us at Peterborough United Methodist Church located in the heart of the beautiful Monadnock region of southwestern New Hampshire. You will find our church warm, friendly, supportive, and nourishing with a exuberant music ministry and outstanding continuing education. Opportunities abound for fellowship and involvement in our church community. Our Sunday service is alive with singing: congregationally, from the choir, and from individuals sharing special music. We love hymns, and try new music, too, from all over the world. Ours is a small building, filled with the warmth of friendship and enthusiasm. We dress semi-casually, or like we would for work, and gather a few minutes before the start of service. We like to laugh, and share our joys and concerns with each other. We have a mix of prayer styles, and read Scripture from the whole Bible. You’ll find you can speak up or keep silent in worship — there is room for every personality here. We love our little wigglers – we want to see babies, children, and teenagers, and our ministries for young people are growing! Sermons are short and direct, and we like to gather after worship for fellowship, study, and refreshments. We treat this house of worship as our home, caring for it ourselves and making ourselves comfortable in it. We have a ramp for accessibility, and wheelchair-accessible facilities. Peterborough United Methodist Church has been a vital part of the town and history of Peterborough, NH for many decades. We are deeply rooted in our history as United Methodists and are a committed community-oriented church. We believe that we are called to be a light to our community, state, region, nation, and world. Our Church was founded in 1840 in Peterborough, NH. We have a rich and varied history rooted in the old time Methodist circuit riders and the revivals of the 1800’s. Cake Sale Update Thank you to everyone who volunteered or bought a cake at Riverfest!